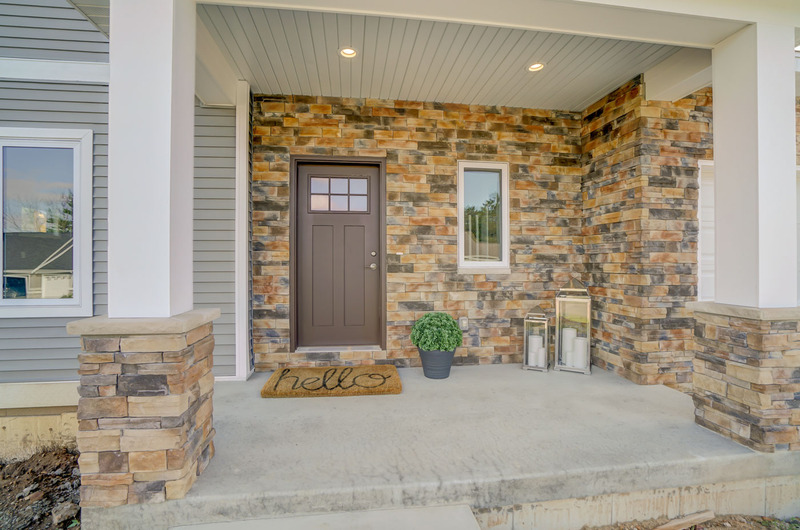 Take a look at 2704 Turnstone Circle in the Quarry Vista neighborhood of Fitchburg and you’ll find a beautiful new construction home that’s turnkey ready. Recently completed, this 2,000 square foot, 3-bedroom, 2½-bath home is just waiting for you to make it your own. A cozy front porch provides a welcoming touch to the front entrance with its dark craftsman-style front door — the perfect place for a flower pot and maybe a chair or two. And once inside, you can’t help but notice the abundance of sunshine coming in through the energy efficient Low-E windows. The first thing you notice is the light and bright feeling of this quality-built open concept home. The front entry is open, with a large coat closet just inside the door. The stairs are to the right and the great room to the left. The doors are all solid wood. 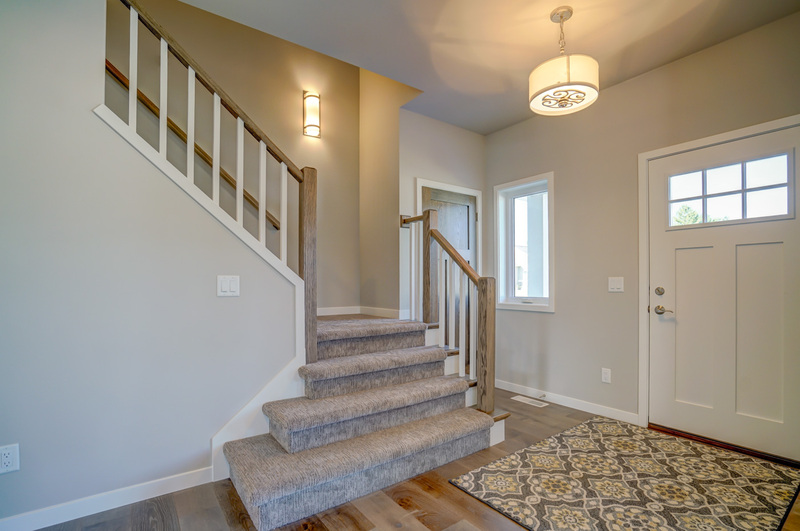 Moving on, you’ll find wide plank wood floors throughout the main floor, and a plush carpet beginning on the stairway and continuing throughout the upper level. The great room features a large picture window and a 9-foot ceiling, but the focal point of the room is the stone gas fireplace. Soft gray walls are featured throughout the house with darker accent walls in the great room and kitchen to create an interesting contrast. 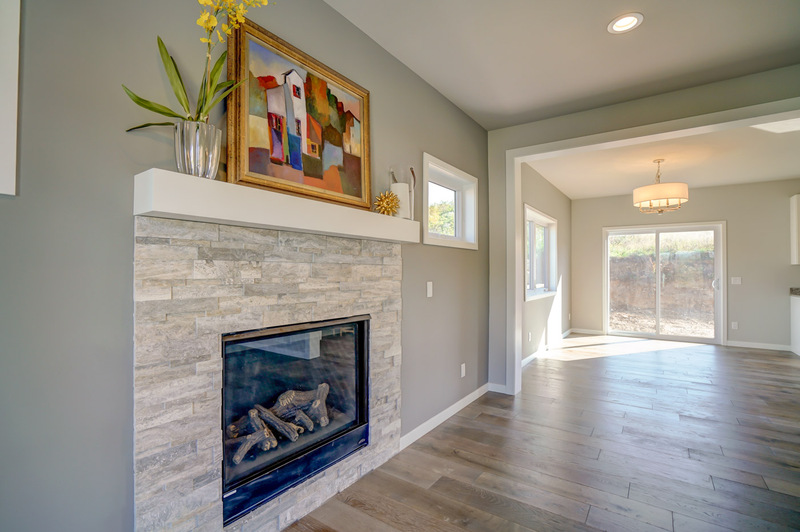 TV hook-ups are conveniently located both above and to the side of the fireplace, making it easy to set up television viewing to fit your own personal preference. The great room leads to an open dining space, brightened with natural daylight from a large window and sliding glass doors that open to a back patio that’s perfect for grilling. The dining area is large enough for formal dining but is also open to the kitchen — making it great for casual everyday meals as well. For breakfast or a quick bite, you might prefer to sit at the spacious island breakfast bar which can seat 3-4. 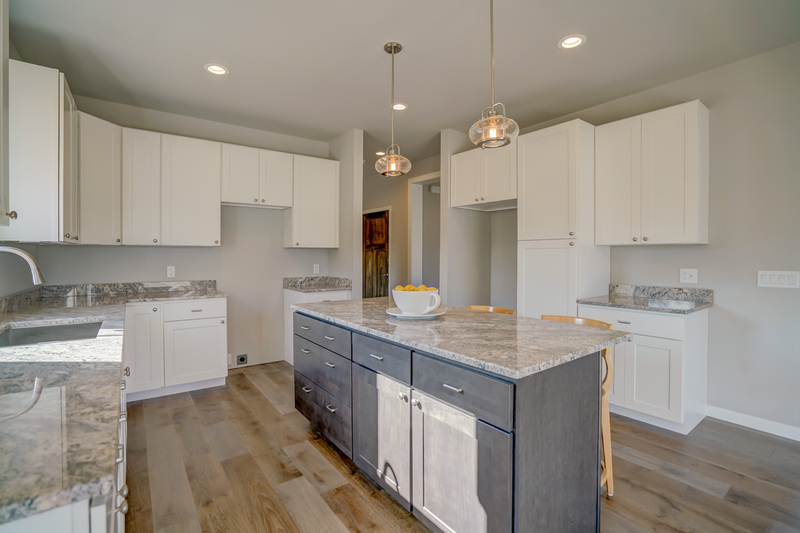 In addition to the island, this large cook’s kitchen features white cabinetry with plenty of room for storage. And there’s also a $3,000 appliance allowance for prospective homeowners to choose the brand and style they prefer! Walk a few steps from the kitchen or front hallway and you’ll find yourself in the back hallway where you’ll encounter 4 doors. One leads to the ready-to-be-finished lower level with just under 1,000 square feet of potential living space. There is enough square-footage here for a family room, bedroom, bathroom and storage room. A 2nd door opens to the first-floor powder room, conveniently located between the kitchen and garage entry. You’ll also find a back hall coat closet here. 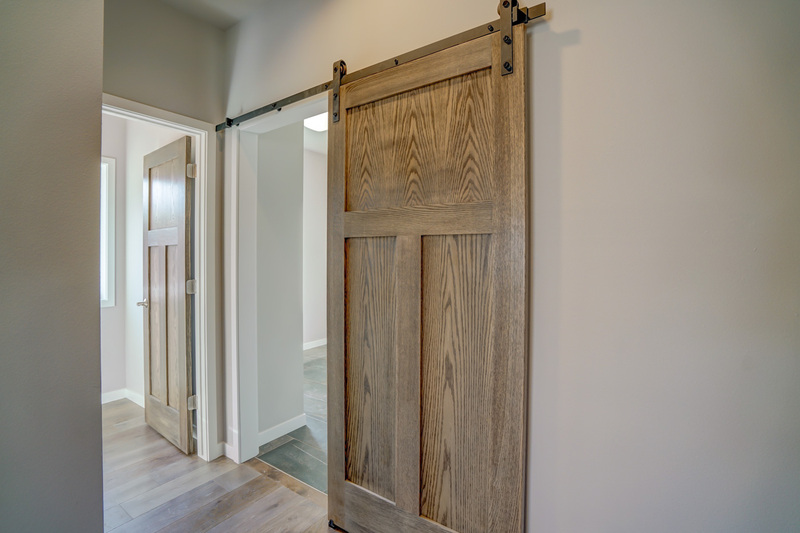 But the 4th door is the most remarkable with its unique design — it’s a large sliding barndoor that reveals a spacious mudroom/laundry room leading to the garage. The mudroom has 4 large cubbies for coats, boot, backpacks and more. In addition to the washer and dryer space, you’ll find a handy sink and counter. The 2+ car garage includes the standard side-by-side space for 2 cars and an additional 13×13 square foot area perfect for another car, a workshop, storage or a myriad of other uses. On the home’s 2nd floor, you’ll find 3 bedrooms and 2 baths. A generous master bedroom features a striking tray celling, a large walk-in closet and double windows that let in plenty of natural light. 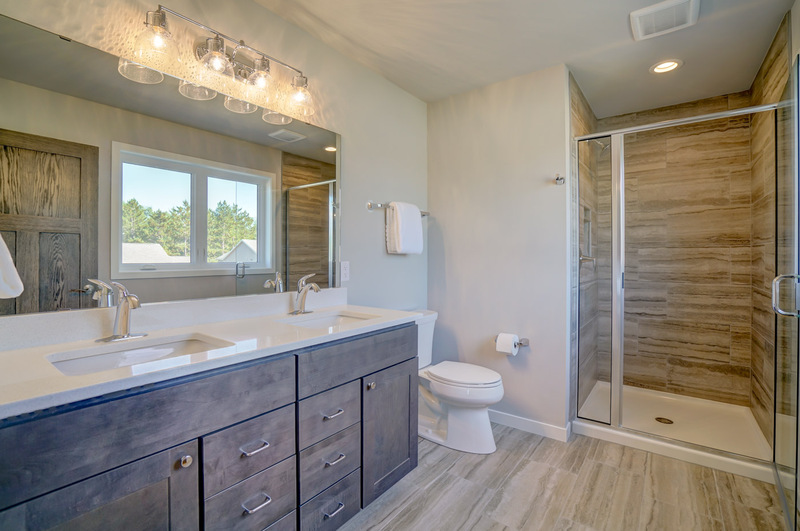 The huge master bath has double sinks with quartz counters, a walk-in spa shower and soaking tub. And of course, plenty of cabinet space. Another upstairs bath is marked by luxury textured vinyl floors, a double sink, tub/shower and linen cabinet. And another hallway linen closet provides additional upstairs storage space. 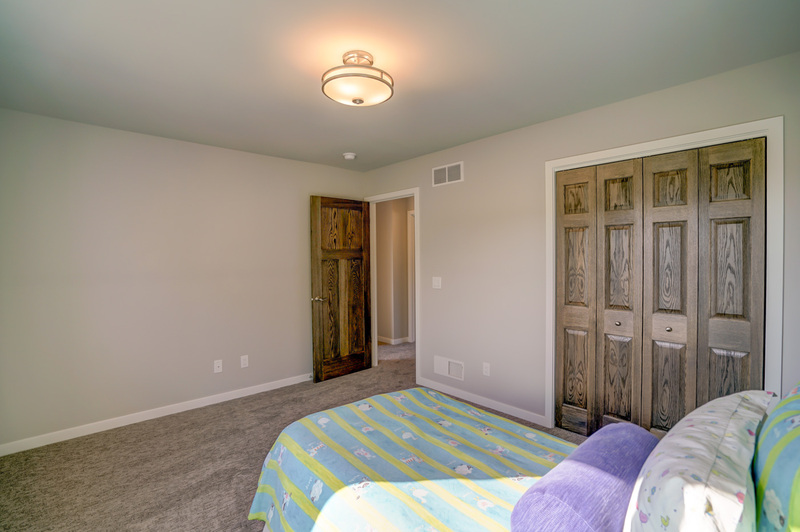 The other 2 upstairs bedrooms are bright and sunny — perfect for a child’s room, guest room, office or craft room. Both have good-sized closets with bi-fold doors. Quarry Vista is conveniently located just off Lacy and Fitchrona Roads. Homeowners are within a short drive from several grocery stores, gas stations, restaurants, parks, Epic Systems in Verona, and both the Fitchburg and Verona libraries. Students here attend schools in the nearby Verona School District. Wouldn’t this be a great place to call home? Contact Barbie today and schedule your of this fabulous home!